AUSTRALIANS will have to donate their organs when they die - unless they opt out under major changes proposed by a parliamentary committee. In a bid to stamp out the illegal trade in organ donation, MPs are considering an "opt-out" approach. The opt-out policy means people are presumed to be organ donors unless they officially register to opt out. The recommendation comes as controversy continues to rage on the government's shift to make the electronic My Health Record an opt out system and is not backed by the Organ and Tissue Authority which runs the nation's transplant program or Opposition Health spokeswoman Catherine King. Federal MPs have also recommended the law be changed so Australians who have an illegal organ transplant overseas are charged with a crime when they return home to Australia. And they want it to be mandatory for doctors to report their suspicions if they believe a patient had an illegal organ transplant overseas. News Corp revealed in 2016 how almost 100 desperate Australians had travelled overseas to buy organs on the black market, paying up to $250,000 for a kidney transplant. The organ donors received as little as $800 for the organs they sold while doctors and middle men got most of the money. The three year investigation revealed how a shortage of organs available under Australia's organ transplant program was driving the trade because some people have to wait over eight years for a kidney transplant. 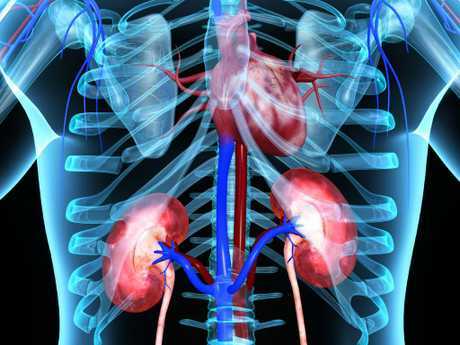 A parliamentary inquiry into the illegal organ trade reported this week and called for major changes to stamp out the organ trade and wants Australia to consider switching to an opt-out system of organ donation. 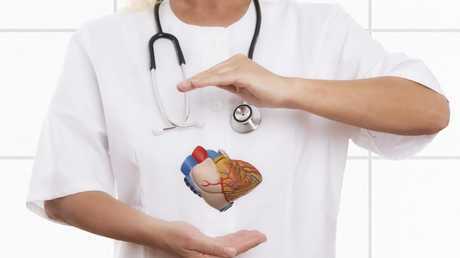 "The Sub-Committee recommends that the Australian Government seeks to improve organ donation rates through a number of approaches including: further investigation of other countries donation programs, including Opt-Out organ donation programs to determine whether such a program could be appropriate for the Australian health system." Under such a system it would be assumed you would donate your organs for transplant after death unless you expressly registered to stop this happening. "Of the top ten organ donating countries in the world as of 2016, seven have been 'opt-out' for a number of years, and two more have adopted an opt-out system in the past year," the committee notes. Only one in three of Australians are registered as organ donors. The organ donation rate in Australia for 2017 was 20.7 donations per million people while Spain has an opt-out system, and their donation rate is twice that of Australia's. Dr Helen Opdam, National Medical Director of the Australian Organ and Tissue Authority told the committee an opt-out system was not a 'silver bullet', as it could lead to families not discussing organ donation, and suspicion that people's wishes may not be taken into account. Opposition health spokeswoman Catherine King said Labor will consider changes to organ donation arrangements ahead of the next election but "an opt-out system is not the answer." "Recent research has suggested that countries using opt-out consent still experience organ donor shortages. I think the most important thing we can do is encourage Australians to join the Australian Organ Donor Register and discuss this decision with their families," she said. A person's wishes are much more likely to be recognised when they understand and have discussed organ and tissue donation with those close to them, she said. However the committee said increasing the organ donation rate in Australia would be a highly effective method to reduce transplant tourism, as fewer patients would feel they need to seek organs from elsewhere. 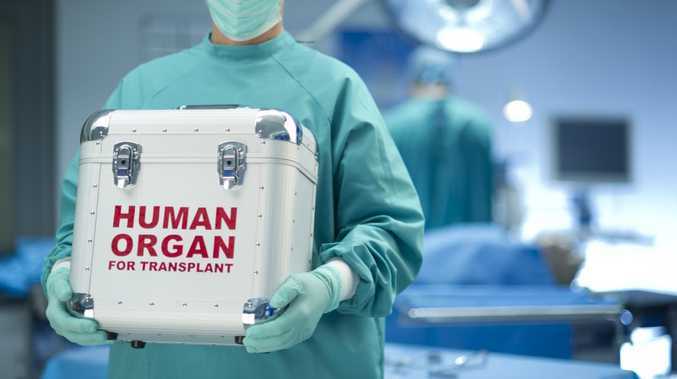 Griffith University expert on organ trafficking Dr Campbell Fraser says prosecuting people when they return to Australia after receiving an illegal transplant won't work because most people who faced death without a transplant would consider the risk worthwhile. The illegal organ trade is changing rapidly and those who need an organ are now using Facebook to find donors who will sell them a kidney for transplant, he says. People looking to sell organs join closed Facebook forums set up by people on organ transplant waiting lists, get to know those in the group and then offer to sell their kidney for a fee, he said. "Wealthy Australians find immigrants or homeless people desperate for money and go to Singapore and have the transplant there," he said. Dr Fraser, who has spent years undercover studying the trade, says even when family members donate an organ it can be a commercial transaction. "Money changes hands even within families, there could be $100,000 transferred from one brother to another," he said. "I know of a case where the son donated to the father and afterwards the will was changed and all the other family members were cut out of the will," he said. In another case where a marriage broke down one spouse had the amount they had to pay in the settlement discounted by $50,000 because they had donated a kidney to their former partner, he said. The Australian Medical Association does not have a position on whether doctors should be compelled to report patients who have an illegal transplant nor does it have a position on whether Australia should move to an opt-out system of organ donation. 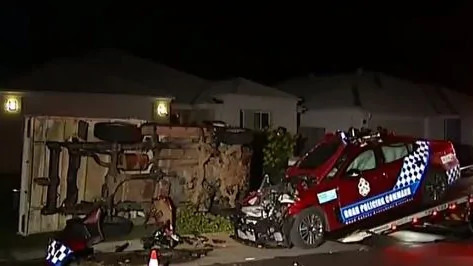 Crime UPDATE: Police have charged a man after a street brawl and vehicle ramming hospitalising two officers.